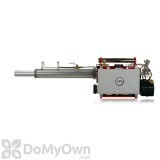 The VectorFog H100SF Thermal Fog Machine has 2 inlet pipes. 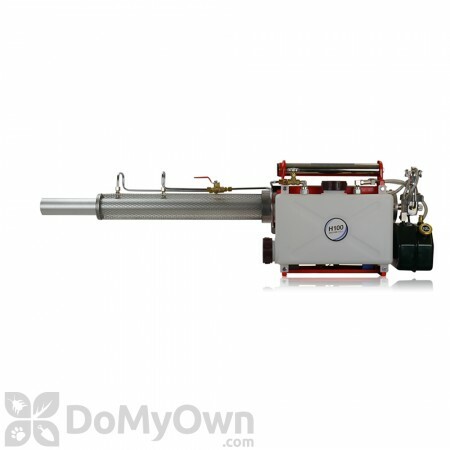 This thermal fogger is a dual purpose fogger, specifically designed for applying oil based solutions as well as water. 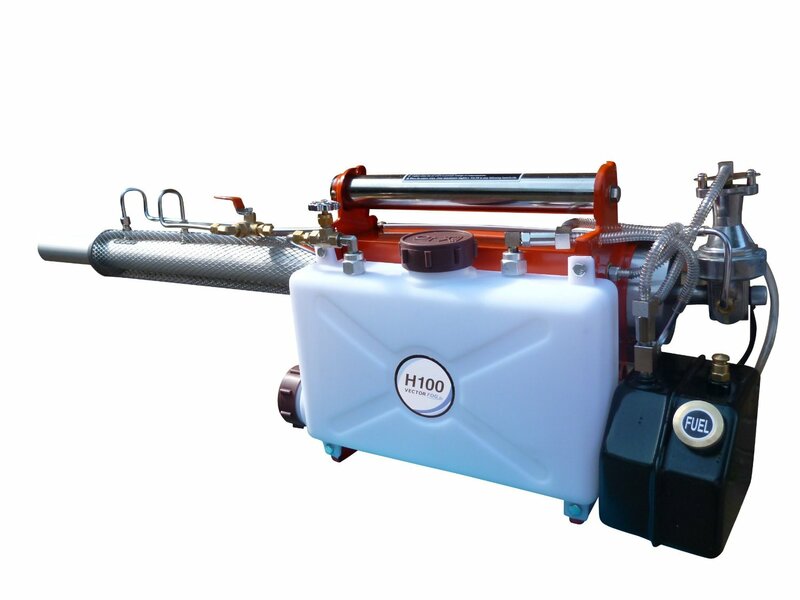 Thanks to its portability, the H100SF is capable of dispersing insecticides and disinfectants effectively and quickly and in different kinds of locations such as greenhouses, farms, factories, warehouses, poultry houses, silos, parks, and more. 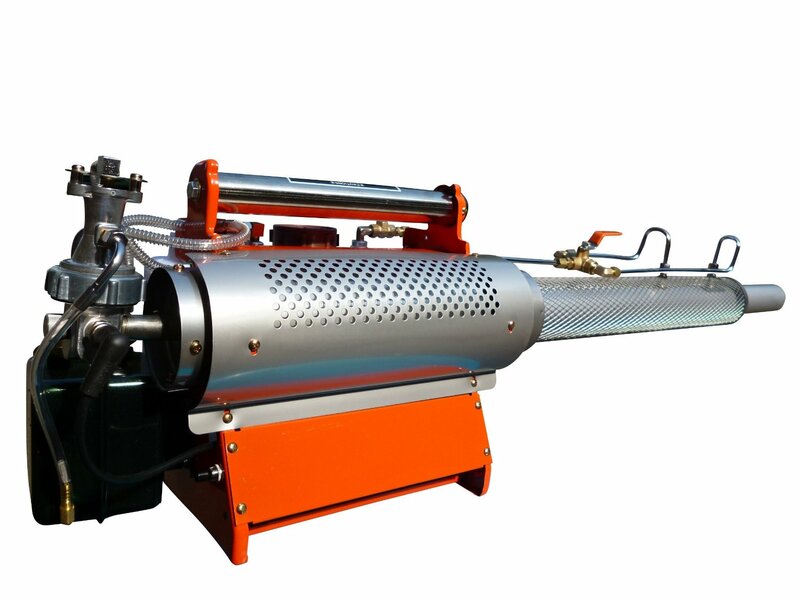 The VectorFog fogging equipment is used primarily for the application of biocides, disinfectants, pesticides and fungicides. VectorFog foggers create a mist or fog that forms an Ultra-Low Volume (ULV) droplet that is between 5-30 microns in length. Studies have revealed that these sizes of droplets are perfect to handle vector carriers of diseases, pathogens, and pests. 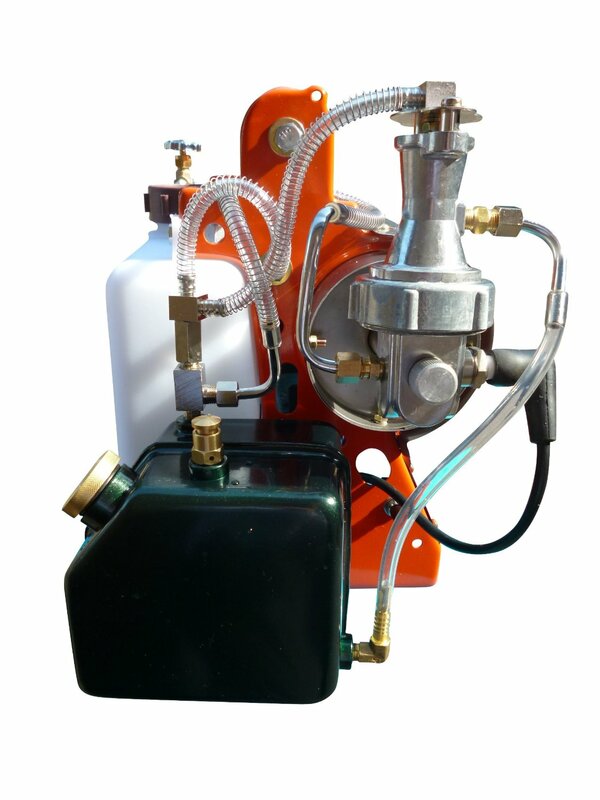 Also, solutions may be applied in concentrations of 10-90%, and with flow rates of over 10.5 gallons per hour (GPH) (40 LPH) making them more efficient foggers. The H100SF has a fuel tank capacity of 1.2 quarts (1.2 L) with a fuel consumption rate of 1.2 quarts per hour. This fogger has both a 6V rechargeable battery and small fuel tank. Spray Distance: 49 - 65 ft.
Spray Distance Water base: 26 ft.
Can you tell me the difference between the H100 and the H200. Hello, What type of warranty is offered on this product and how do you support your clients nationally and internationally? There is a one year warranty on the VectorFog H100SF Thermal Fog Machine on factory defects. If you have any questions regarding the warranty, you will have to speak directly to the manufacturer, VectorFog. Their US phone number is 1-844-259-0148. My VectorFog H100SF Thermal Fog Machine isn’t putting out the nice smoke that it did in the previous year. What should I do? We would recommend checking directly with the manufacturer for troubleshooting the VectorFog H100SF Thermal Fog Machine. Please call customer service at Vector Fog at 1-844-780-6711. Do I have to mix it with diesel or can I use an oil based insecticide only in VectorFog H100SF? VectorFog H100SF Thermal Fog Machine is a dual purpose fogger, specifically designed for applying oil based solutions as well as water. You would need to refer to the product you are wanting to use in the fogger on if it should be mixed with diesel or water for the pest you are trying to treat for. How many acres will the VectorFog H100SF Thermal Fog Machine treat ? 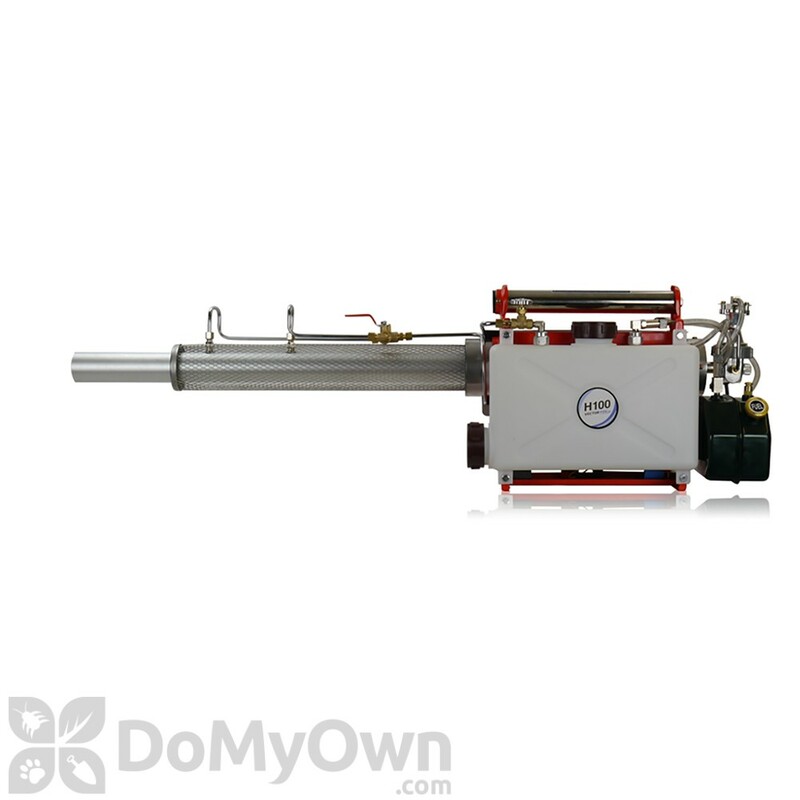 VectorFog H100SF Thermal Fog Machine application is not based on acres and depends on the settings. It can create a mist or fog that forms an Ultra-Low Volume (ULV) droplet that is between 5-30 microns in length and solutions may be applied in concentrations of 10-90%, and with flow rates of over 10.5 gallons per hour (GPH) (40 LPH).